An 18-month-long planned sale of council-run dementia care homes in Kirklees has collapsed after a bidder pulled out. 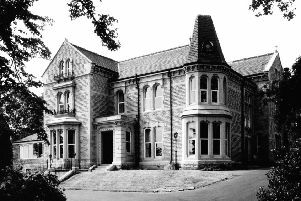 Castle Grange in Newsome and Claremont House in Heckmondwike had undergone building work in advance of the proposed sale to Wakefield-based Strong Life Care. Union chiefs representing staff at the two homes said the collapse of the deal only adds to unanswered questions about the viability of the sell-off. The private sector deal, announced early last year, was at the heart of proposals by Kirklees Council to offload care provision in the borough. The authority began consultation on the potential privatisation of four of its homes – the others were Moorlands Grange in Netherton and Ings Grove in Mirfield – in January last year. Moorlands Grange and Ings Grove both offer intermediate care. Castle Grange and Claremont House provide dementia care. She added that a programme of “essential building works” is still being undertaken. She added: “Castle Grange and Claremont had been identified for sale and a change of registration to meet the demand for nursing care. Hundreds of workers are potentially affected by the planned sale of the care homes. Andrew Aldwinkle, regional organiser for the GMB trades union, said the buildings had been put out to tender while a pay deal was ongoing and that this had not been factored in to negotiations. “The council has never been prepared to tell us who the potential buyer was, and they have never told us what they planned to do with the buildings and the grounds,” he said. “Our concern was that they were giving the assets away. We asked whether they were going to be kept in local authority control. We never received a single answer. Clr Kath Pinnock, who was council leader when the homes were commissioned in the mid-2000s, said Castle Grange and Claremont were specially-designed for dementia sufferers. She added: “If these go into the private sector that means there is no public sector provision. You just worry that people will be stuck with having to opt for private sector care which may or may not meet their needs. “I have always been in favour of a mixture of public and private sector provision. Newsome councillor Andrew Cooper said councils “had a legal duty” to provide adult social care but that they were undermined by government cuts made at a national level. He said: “We have a legal duty but not the funding needed to deliver that. It’s criminal that councils are placed in this position. And it’s criminal that people that need this service are put in that position as well. “If the incentive is there from national government to make it worthwhile in economic terms then councils would be operating in the adult social care sector. Richard Parry, Strategic Director Adults and Health, said: “The council is unable to comment on the reason Strong Life Care chose to withdraw as it would be up to them to clarify their reasons.